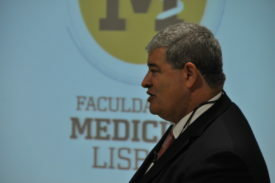 The Regional Health Secretary of Madeira, Dr Pedro Ramos was on 24 February at the Faculty of Medicine of the University of Lisbon to present the Seminar “Fires in Madeira – Crisis Management, Trauma and Catastrophe“. 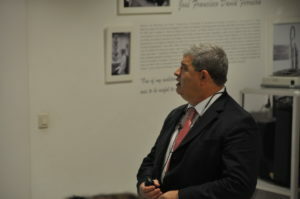 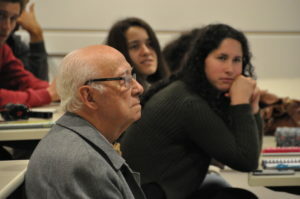 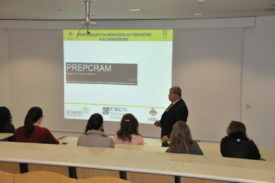 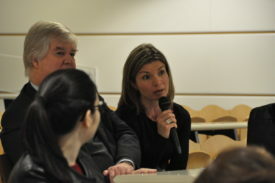 This session, included in the programme content of the FMUL’s Health Communication elective subject coordinated by Professor José Pereira Miguel, Director of the Institute of Preventive Medicine and Public Health, was attended by students and the Deputy Director of FMUL, Professor Ana Sebastião. 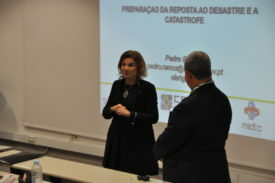 In this session, the book Minuto Azul Contar Saúde com Ciência e Afetos, authored by Dr Isabel de Santiago, guest assistant at FMUL and coordinator of the Blue Minute Project, was also officially launched.